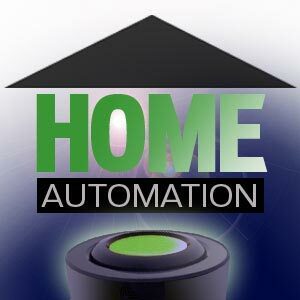 Home Automation tools are software tools that allow you to control of common appliances found in a home, office, or sometimes a commercial setting, such as lights, HVAC equipment, access control, sprinklers, and other devices. These software tools allow you to schedule tasks, such as turning sprinklers on at the appropriate time, event handling, such as turning lights on when motion is detected. Home automation tools are also a type of Internet Of the Things (IoT). Home automation tools also provide the facility to secure your home. These tools provide you some security systems, like the alarm system, and all of the doors, windows, locks, smoke detectors, surveillance cameras and any other sensors that link to it. LinuxMCE stands for Linux Media Center Edition. It is free and open source software tool. It is the comprehensive application that allows you to automate the home, from lighting and climate to surveillance cameras and home security. It is the voice over internet protocol(VoIP) based phone system with support for video conferencing. It comes with the user interface designed and allow a computer to act as a home theater PC (HTPC) for the living-room TV, personal video recorder, and home automation system. It provides the features of View and listens to media in any room, monitor security cameras, provide Voicemail, call forwarding, advanced caller ID features and much more. 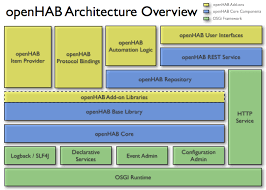 openhab is stand for open Home Automation Bus. It is free and open source Java developed the software solution. It was developed in 2010 by Kai Kreuzer. It automates your home in less time. It supported cross-platform like Linux , Windows , Mac OS X , Unix , OpenBSD , FreeBSD. It is written in Java language. It released under Eclipse Public License. It integrating different home automation systems and technologies into one single solution that allows over-arching automation rules and that offers uniform user interfaces. It allows you to integrate with new systems and devices. It is the part of the Internet of Things(IoT). It provides the support of APIs. 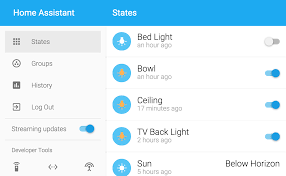 Home Assistant is another excellent free and open source home automation tool. It is running on Python 3. It is easy to install on your server and take just 1 minute for installation. By using it you can track all home devices at the single platform. You can control all these devices on a single mobile interface. It supported following operating system Windows 10, Mac OS X, Ubuntu 14.04. It provides the features of lights turn on when the sun sets and you are home, lights turn on when anyone comes home and it is dark, dim the lights when you start watching a movie on your Chromecast, receive a message when the lights turn on while you are not at home and much more. It also offers a REST API. Qivicon is a free and open source wireless-based home automation solution. It was founded in 2011 by Deutsche Telekom. It has an ability to Control, combines and automate multiple devices and functions from different brands via a single Smart Home platform. You can control, monitor and automate all connected devices and functions via the QIVICON Home Base solution. It provides easy devices integrations facility. It allows all devices to connect wirelessly. This system provides smart connectivity throughout the home system. It allows you to access devices through smartphone,tablets and PC. It is supported HomeMatic, ZigBee technology.